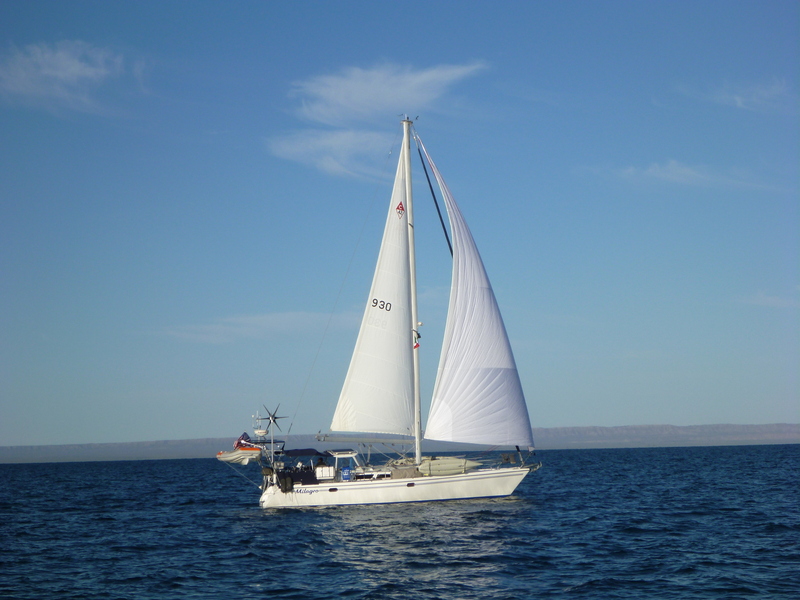 Milagro is a 2006 Catalina 42 MkII, hull #930 built in Woodland Hills, CA in August 2005 by Catalina Yachts. We chose her because Michael thought her suitable for the type of sailing we expected to do and would be easily handled. 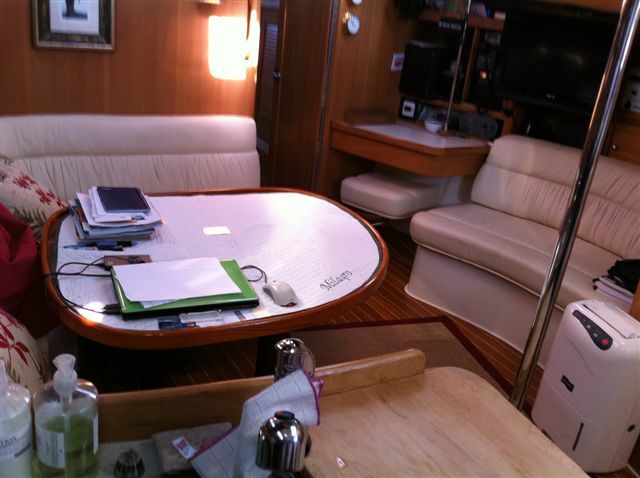 And, maybe even mostly, because Judy fell in love with the cabin and the overall layout below. 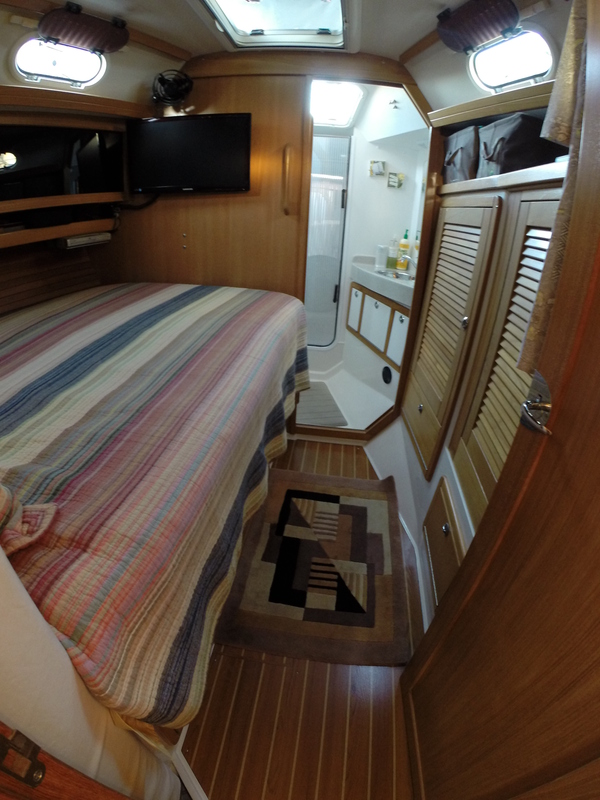 Layed out with a Pullman cabin forward and a double quarterberth cabin aft, we modified the aft cabin into two single berths. 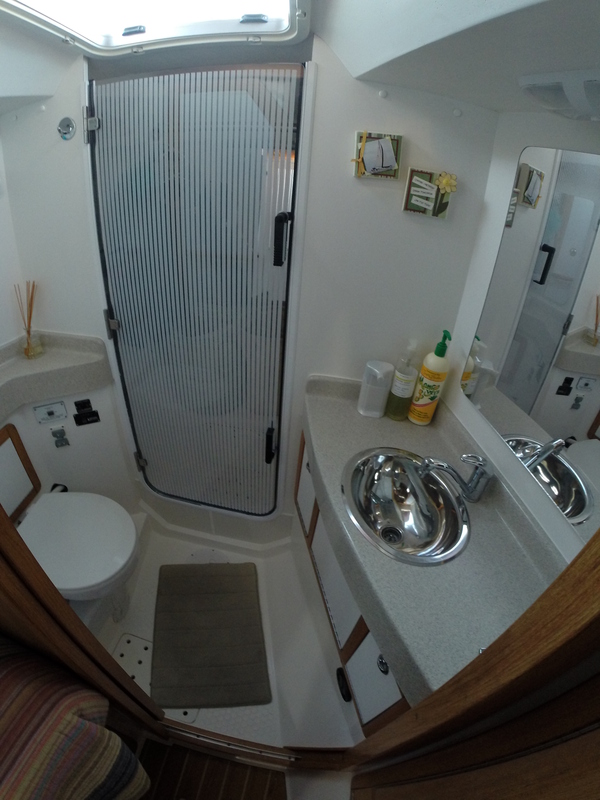 This change greatly improved storage while providing for a secure and comfortable sea berth. There are two heads and a separate shower. 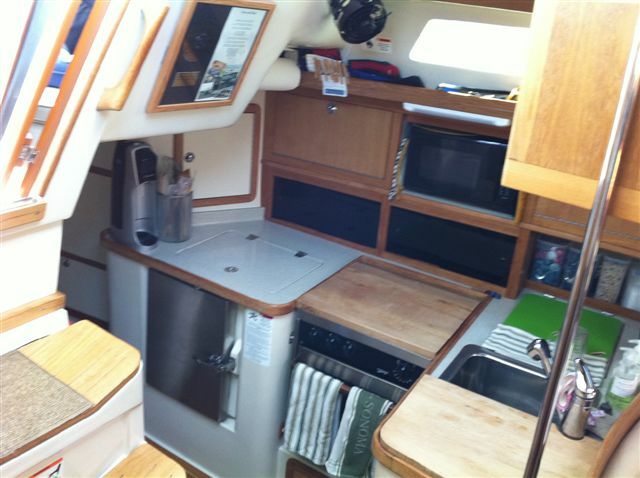 We have also added or improved storage throughout the boat because (apparently) we don’t travel light. 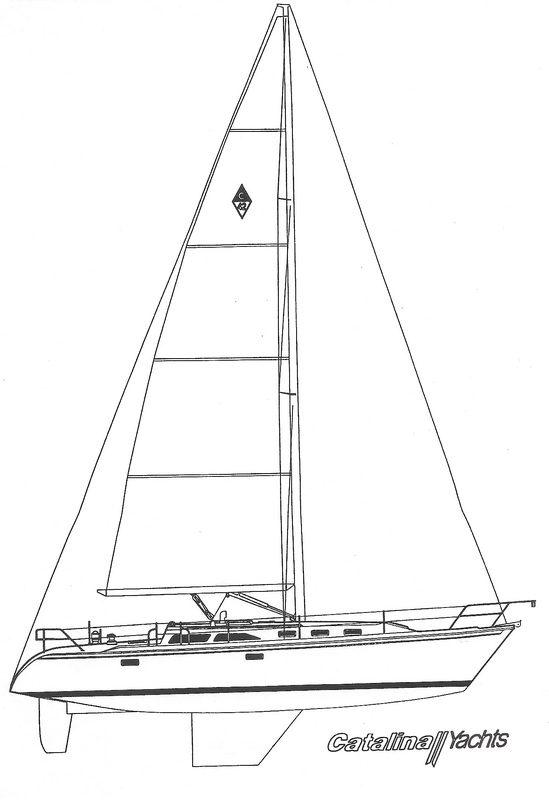 The C-42 was designed as a limited production ocean racer by the Nelson Merek design group, San Diego, CA. Catalina Yachts purchased the design and began production in 1988, building 100 of them in the first year. 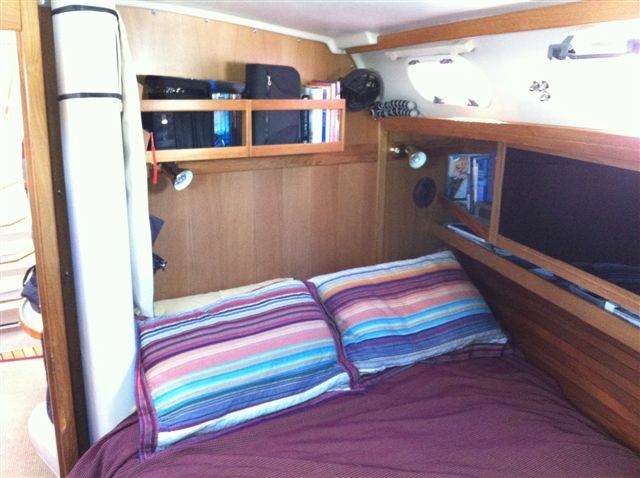 Evolutionary changes were introduced over the years, mostly to improve storage and livability; however the cockpit and transom received a makeover in 1995 leading Catalina to remark it as the Mark II. Throughout production the hull remained unchanged below the waterline so performance was not affected. Production was discontinued in 2011 after more than 1,020 had been built. According to the Catalina 42 Owners Association Catalina 42’s can be found in 37 of the 50 US states, 6 of the 10 Canadian provinces, 5 of the 6 states in Australia and in more than 18 other countries. Catalina Yachts Cruisers Hall of Fame inductees have usually logged at least one circumnavigation aboard their boats and, at one time, there were more C-42’s in their number than any other model and the C-42 may still have the greatest number of sea miles logged by Catalina boats. The Angle of Vanishing Stability (AVS) is a highly regarded reference to determine a boats suitability for safe blue water cruising and a minimum AVS of 120 is the widely accepted standard. The factory calculated AVS is 114.3 (probably a basic boat with no stores or personal effects?) while U.S. Sailings calculator determines a value ranging from 125 to 130 depending on variable assumptions regarding weight. The ORR actual measured AVS for a C-42 participating in the 2005 Transpac was 126. Many C-42’s have participated in organized blue water events from the tragic Sydney-Hobart race of 1998 to recent California to Hawaii Transpac races. An exceptionally strong storm struck the 1998 Sydney-Hobart race resulting in 5 boats lost and 6 persons killed. Only 44 of 115 entries even completed the race one of them being Sea G, C-42 hull #579 finishing 8th overall. 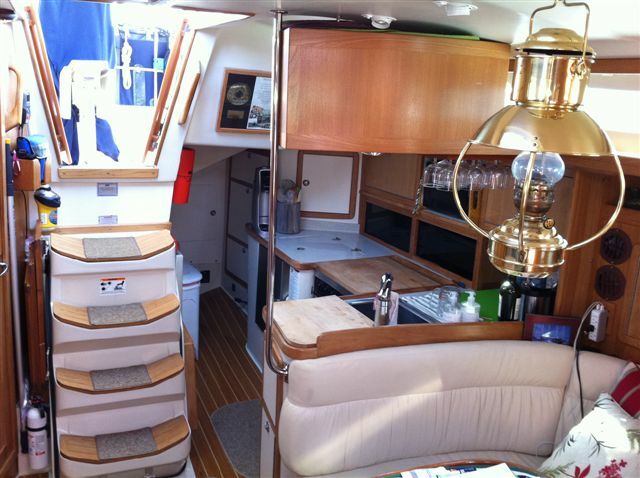 Gerry Douglas, Chief Design Engineer for Catalina Yachts, has owned one as his personal boat for many years. Photos of Milagro follow the specifications so don’t quit yet, keep on scrolling. 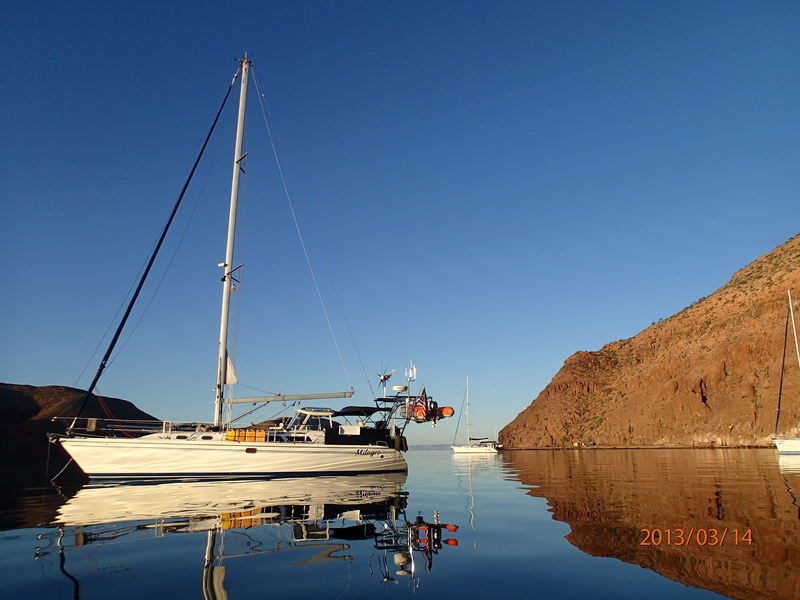 And Milagro is a beautiful boat! What a great site. It looks like you are still living the life. I know that there is a lot of work involved in all that enjoyment but keep it up anyway. We are heading south on the Ha Ha and hope to see you somewhere in Mexico this year or next. We will be leaving Cabo after a couple of days for the mainland and then spending 3 weeks or so in Mazatlan to get some stuff done on the boat. Let us know if you are in the area. Your boat looks great! Thanks Mike. We will certainly be around so crossing paths should happen. We will be doing Milagro’s bottom on San Carlos in early October so should be headed south sometime before the end of that month. Talking about stopping at Topolobampo on the way and taking inland trip from there to the Copper Canyon. We’ll see if that really happens but would pass thru Mazatlan not long after. If we don’t find you there then maybe the next stop South. You’re gonna love this!